In the previous article we discussed what are the criteria that we must consider to find the perfect apartment in Madrid, which is the that fits our needs in terms of budget, area and type of apartment. 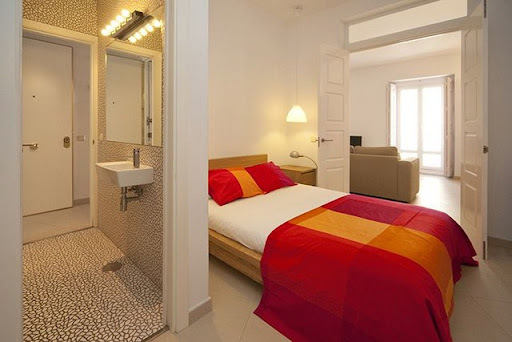 The correct choice of these variables will ensure us our positive experience of Madrid, because if we are wrong, for example, in the area where the apartment is located, we will have to waste our time on unnecessary trips. Whereas if we choose a suitable apartment in the correct area, we have everything at hand, and we can enjoy more of what we really want. Now: How to Succeed in our choice? Where do we start looking? The first is to choose the right website. 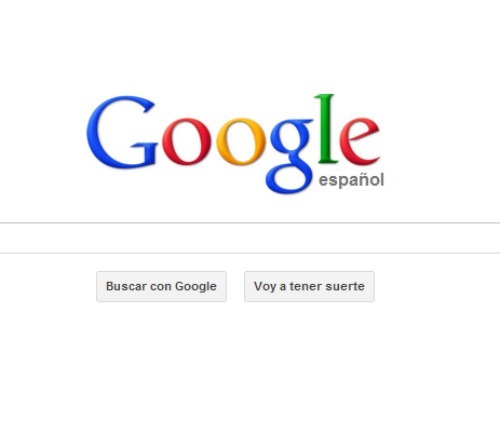 Currently, Internet is the best way to find what we seek, because offers endless possibilities. But this wealth of information and resources, often makes our search difficult. How to distinguish between the many existing websites? 1. 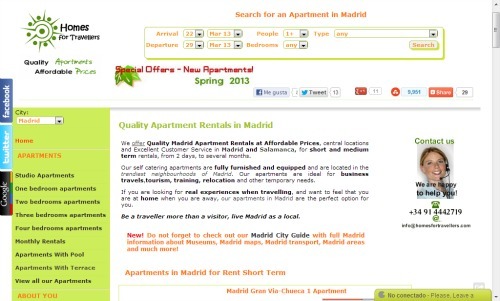 – Local Website: We must choose a website that is based in Madrid. Why this fact is so important? Because only in this way we ensure that those responsible for such website are announcing apartments that they known and have been previously selected. And not only know the apartments and have been previously selected by them, but they also know the areas where the apartments are located. It is therefore vital that we choose the website which offers personalized attention and which is based in Madrid locally. They are websites which care about us, which can give us the support that only can give the one who knows the city in depth and the accommodations provided. The websites that advertise apartments from many sites and several countries may not help us, as they offer a mere list of apartments, making it impossible for those responsible, or for the customer service, know the characteristics of the apartments or the areas where they are. 2. – Websites that manage the apartments in a professional way. A website that advertises apartments that have been previously selected guarantees that they meet quality criteria, and that the owners or managers of the apartments meet these criteria and clear rules regarding customer service, problem solving and resolving doubts. In our next article we will explain in detail what are the differences between websites professionally managed apartments and those that only offer a list of apartments, where anyone can advertise your property. Stay tuned, because you will have all the keys to make your stay in Madrid is perfect as you come for business or vacation. And if you can not wait, contact us by email or visit our website to access the live chat!